Rome offers some of the best shopping opportunities in Italy, whether you are in the market for cheap trendy or designer fashion. You can find something you like to fit any budget, as designer name brands can be found on the same strip as indie boutiques and market stalls. Shoppers can find a variety of products, ranging from fashionable clothing, antiques or just a good deal. The many interesting and unique shops in Rome all speak to the taste and style of each store owner. The challenge is discovering where they are. Believe me, shopping in Rome will surely give you some excellent shopping experience. The Via del Boschetto is the place to visit if you want to have an extraordinary shopping experience for uniquely designed items at comparatively affordable prices. The street is close to the Colosseum or the Via Nazionale, in the heart of one of the hippest neighborhoods in Rome. Tina Sondergaard is owned and operated by its namesake who is a Danish import. The clothes are carefully hand sewn and range from avant-garde pieces to include costumes and wedding dresses. Il Giardino del Tè is an aromatic tea shop which will captivate any lover of the flavorful hot beverage carrying a range of oolongs and Turkish drinks, jams, coffee and ornate china sets. Ashanti is a well-known favorite of art lovers, offering a combination of art gallery, handcrafted jewelry made by designer Raffaelle fashioned in gold, silver and bronze. Galleria d'Arte di Jullo is a mini art gallery featuring sketches, oil paintings and engravings of horses in the wild created by Robert di Jullo. One of the best places to experience shopping in Rome would be Via Nazionale street. The Via Nazionale is a busy thoroughfare in Rome known for being symbolic of the Unification of Italy. Here visitors and locals can find an interesting and varied mix of galleries, shops, theaters, luxury hotels, boutiques and tourist hot spots. The street is always alive with the sights and sounds of something wonderful for all present. Some of the most noteworthy places to visit include the Imperial Forums, Eliseo Theatre and the Piazza della Repubblica. The Via del Corso is a long and busy street in Rome which never fails to be crowded with mainly tourists. While it may not be the number one choice to shop for families, it is a favorite for teens or twenty-something travelers. There are many fashion boutiques, cafes and bars to choose from. You are likely to find cheaper bargains on the Via del Corso than on via Cola di Rienzo, albeit with varying quality. The midway point of the street is the Galleria Colonna which culminates in an exquisite arrangement of shops and cafes. On a side street, behind the parliament is the Cinema Nuovo Olimpia where films are shown in their original language. The Via Cola di Rienzo is popular for its wide options in shopping and spacious, extra-wide sidewalks along which many families enjoy leisurely promenades. You can find reasonably priced clothing and accessories which are well made. The street is home to the biggest Castroni store in Rome. Here you can find prepackaged Italian and international foods such as chocolate with red pepper, Italian coffee, cakes and black sepia pasta. The gourmet grocery store, Franchi, is close to the Castroni. It specializes in specialty foods such as dry porcini mushrooms or parmigiano cheese. In contrast to the small boutiques and stalls is the large department store, Coin, which stocks a range of styles in clothes and household items. You may also shop for fresh food items in the basement supermarket. When it comes to shopping in Rome, the flea markets are not to be missed. Rome offers several good options for flea market and antique shopping. The top choice overall is Porta Portese which is housed in the Trastevere neighborhood. It is the largest flea market in Europe, and is only open on Sundays between 7am and 1 pm. The stalls here are always stocked with an eclectic mix of clothing, housewares, artwork, jewelry, furniture and much more. Many shoppers also frequent the flea market at Via Sannio which is known for its wide selection of clothing and accessories, some of which are designer copies. Several Roman streets are popular for their antique dealers. These include the Via del Babuino, the beautiful Via Giulia, and interspersed among the streets which run between the Via Giulia and the Via del Governo Vecchio. Apart from the streets mentioned above, there are also some of the best shops which can be of great help for shopping in Rome. Saddlers Union traces back its iconic beginnings to 1957 where its cult image was given an even more striking presence, as its bags were carried by the likes of Jackie Onassis with the notorious bucket bag. Despite remaining on low radar, Saddlers has risen among more popular brands with items with their usual classic trademark with a few strokes of retro. Shoppers have the unique option of customizing items to go. Society is the retail store of Limonta, an interior décor powerhouse which was established over 100 years ago. They are renowned for using the finest natural washed linens such as silk, cotton, wool, ramie and linen. Their collection includes an almost limitless assortment of mats, towels, men’s and women’s clothing, napkins, throws and accessories in varying soft and pastel colors. Everything has a relaxed and airy look and feel guaranteed to convert even the most reserved shopper into a spendrift. 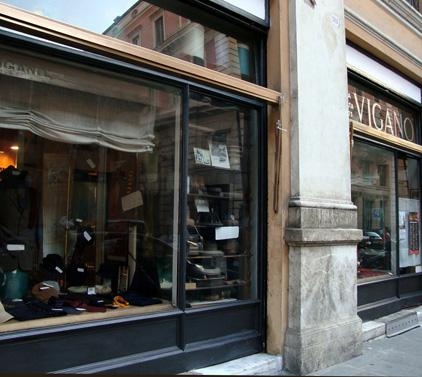 Fratelli Vigano is a male milliner’s paradise which has been shaping the way men crown their heads since 1873. Its wide collection is featured in several annual trade shows. One can hardly find space to walk for the many hats that crowd the interior of the store. The hat lover with a discriminating taste can find anything from bowlers and berets to top hats. Shopping at Fratelli’s is even more of an interesting experience based on the fact that it is just around the corner from one of the favorite eateries, Al Moro which is often frequented by Fellini and Valentino. Be careful to note the opening hours which are a bit peculiar. 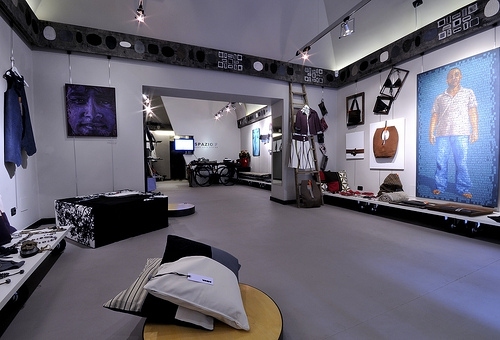 Spazio IF is a combination retail store and art gallery which should not be taken for granted. 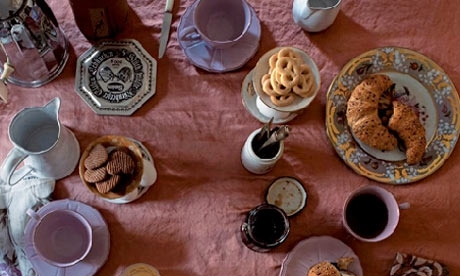 Its uniquely eclectic collection includes antiques, works in marble, vintage furniture, women’s clothing, bags and accessories. These latter are based on the work of the designer Irene Ferrara. A different artiste gets the opportunity to showcase his or her work each week, displaying them alongside the top designer. Thrift is the order of the day as all leftovers from the designer’s creations are used to make nifty necklaces or an interesting brooch. 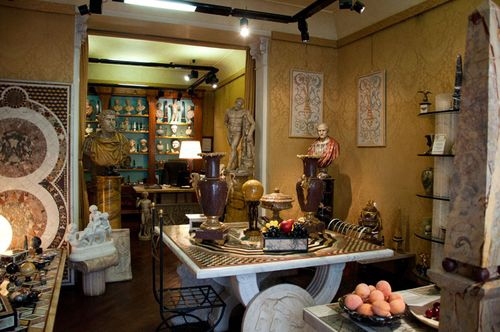 Maurizio Grossi on Via Margutta in Rome is the place to go for anyone who fancies the classic bust works or stone carvings. Many of the pieces are portable, and will therefore be easily set up in your home to add a bold, classic statement to any décor. The discerning sculptor connoisseur has many options to select among to include regularly sized or miniature iconic busts, bas reliefs of humans and animals in epic interaction, fruit, obelisks, vases, candle bases, columns and so much more.